Mattel has launched a new line of black Barbie dolls with fuller lips, a wider nose and more pronounced cheek bones _ a far cry from Christie, Barbie's black friend who debuted in the 1960s and was essentially a white doll painted brown. The "So In Style" line, which hit mass retailers last month, features BFFs Grace, Kara and Trichelle, each with her own style and interests and a little sister she mentors: Courtney, Janessa and Kianna. The dolls reflect varying skin tones _ light brown, chocolate, and caramel _ and Trichelle and Kianna have curlier hair. 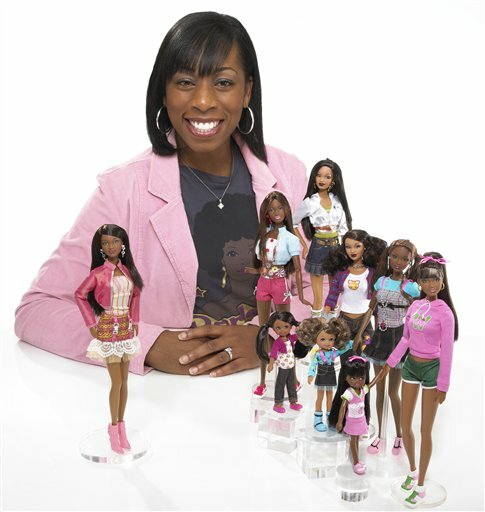 Many black women are praising Mattel for its efforts _ Black Barbie hit the shelves in 1980 with white features shared by many of the dolls following her. "She has always had African-American dolls, but rarely dolls with skin like her own," she said. "Often the lighter dolls were Hispanic or Indian. It was very heartwarming to look at a series of African-American Barbiesand hear my daughter, now ll, exclaim, 'She looks like me!'"